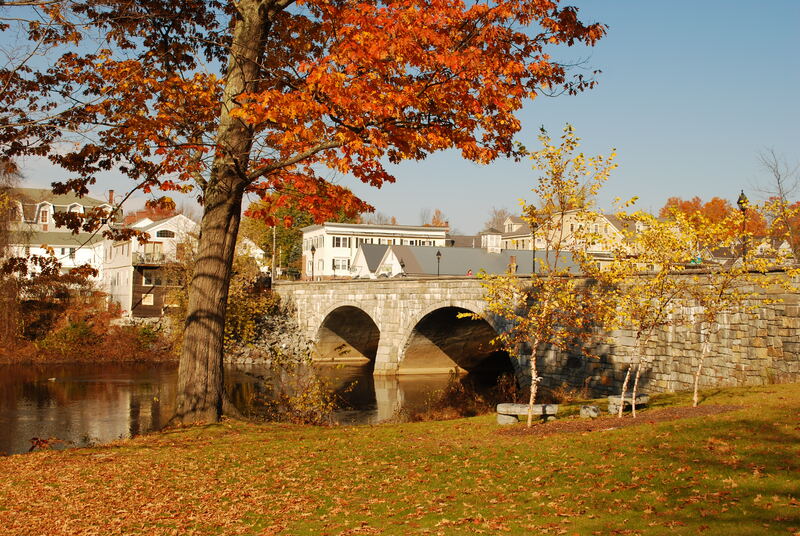 The Only Henniker On Earth is a residential town located along the beautiful, meandering Contoocook River. In the settlement of the land dispute between New Hampshire and Massachusetts Bay Colony in 1740, Henniker was allotted township number 6 in the lines of towns between the Connecticut and Merrimack Rivers. In the Charter of 1768, Governor Wentworth named the town of Henniker in honor of his friend, John Henniker, Esq., a wealthy London merchant of leather and furs. Tradition states that a few settlers arrived in the early 1730s but none stayed due to some Penacook Indian harassment and the French and Indian War. 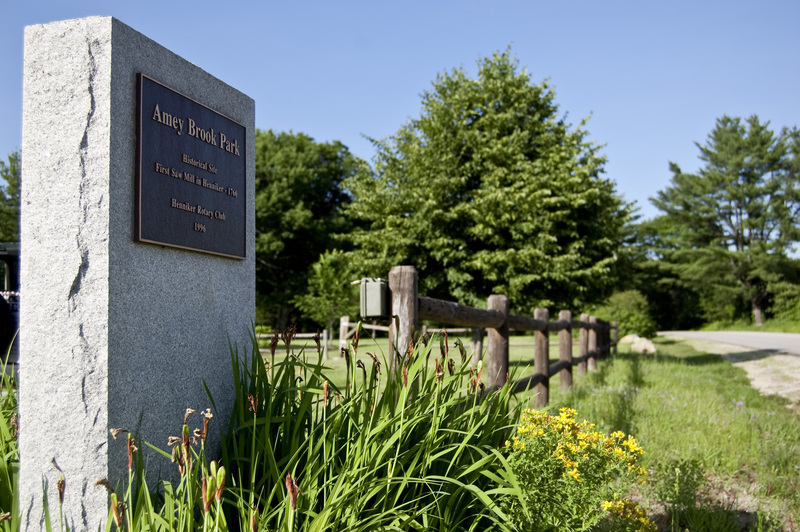 A marker on the north side of Rte 9/202 indicates where the first permanent settler arrived and settled in 1761. On Shaker Hill Road, just off River Road, another historical marker shows where the first framed house was built and the first child was born, both in 1763. 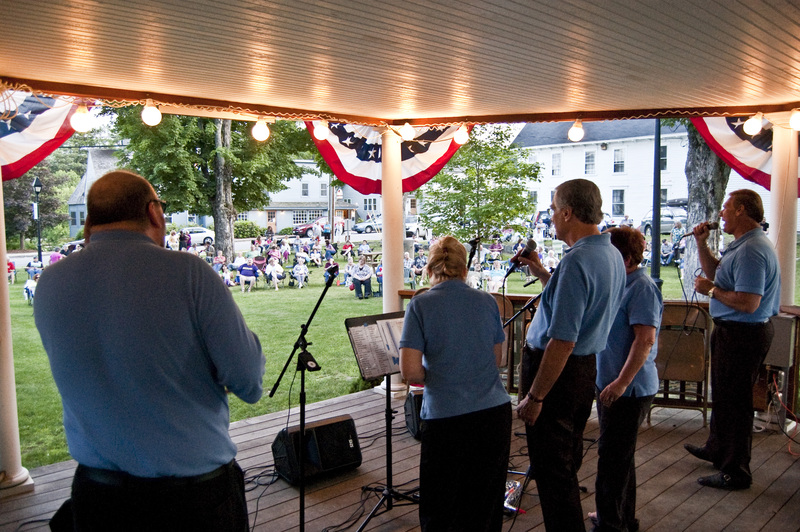 A town meeting was held on November 25, 1768, and Rev. 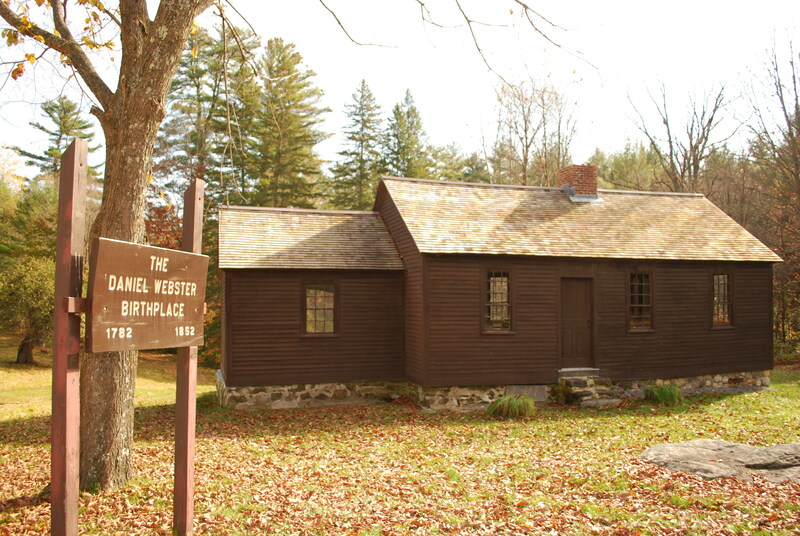 Jacob Rice was hired as the first “gospel minister.” In 1770, $20 was voted to build a log meeting house. It was burned ten years later, and a marker indicates the site on Flanders Road. The present Town Hall, completed in 1787, served as the second church and the town’s meeting place. A marker on River Road shows the site of the first school house in town, but of an indeterminate date. 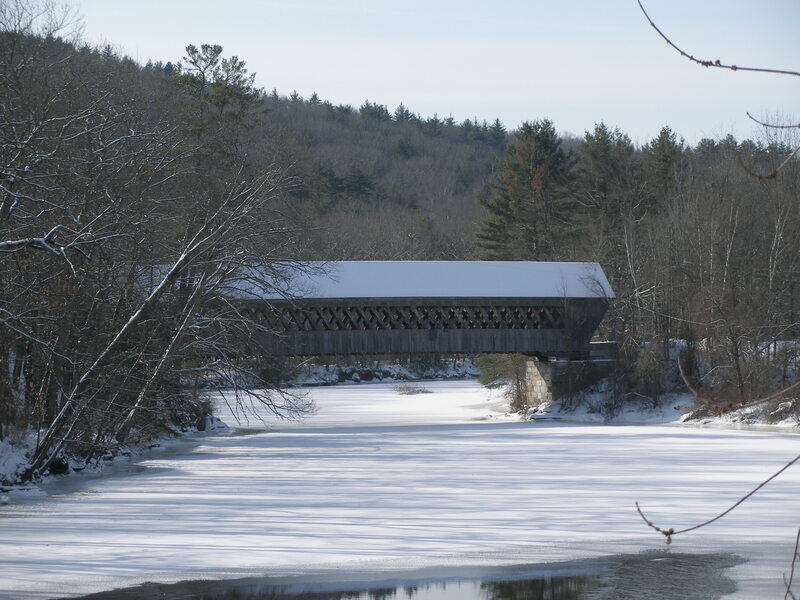 The Contoocook River, always a focal point, was first spanned in 1782 by a wooden bridge. The present double-arched Edna Dean Proctor stone bridge was built in 1835. The river’s scenic beauty attracted a profitable tourist business in the late 1800s and early 1900s. Water power supported mills and manufacturing until all of the factories along the river were closed by the Flood Control Project of 1959. 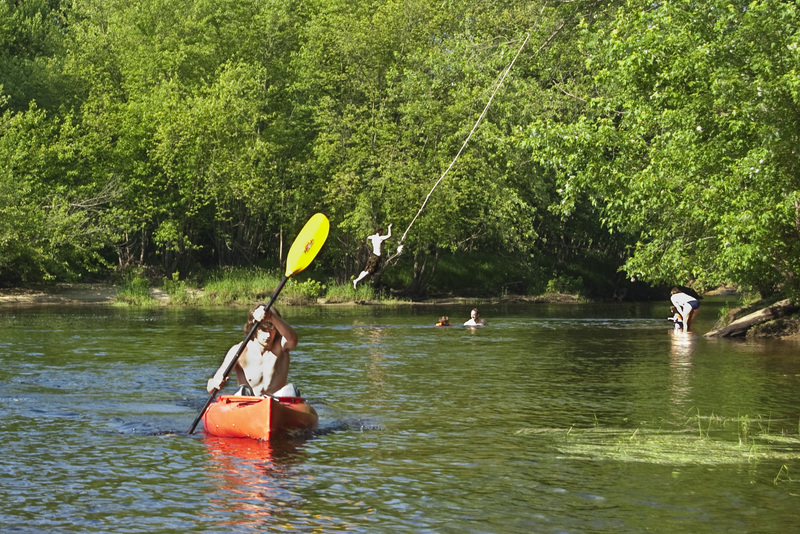 The Henniker portion of the Contoocook River is nationally known for its white water kayaking. Henniker has been home to several interesting and outstanding people: Ocean Born Mary, whose birth saved a boatload of colonists from a pirate’s wrath; Edna Dean Proctor, nationally-known poetess; Amy Cheney Beach, pianist with the Boston Symphony Orchestra, and composer; James W. Patterson, educator; and Ted Williams, baseball player with the Boston Red Sox and fisherman. 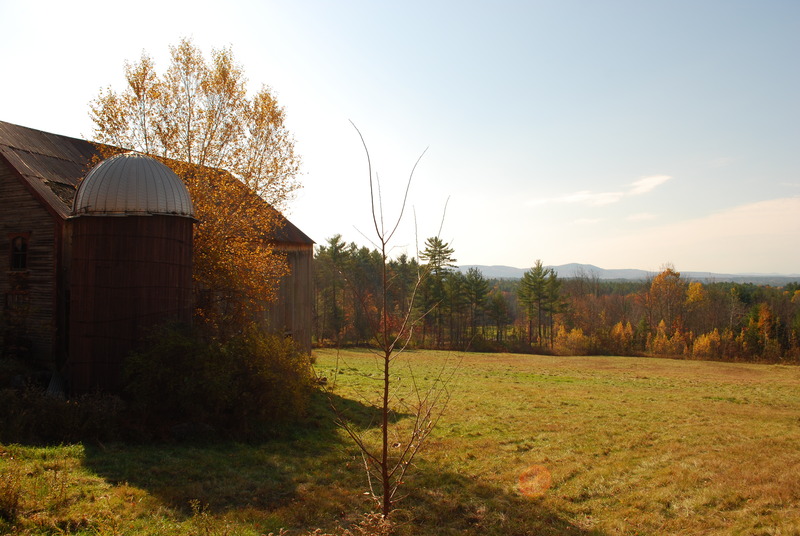 Today Henniker is a friendly, rural community in which to live. 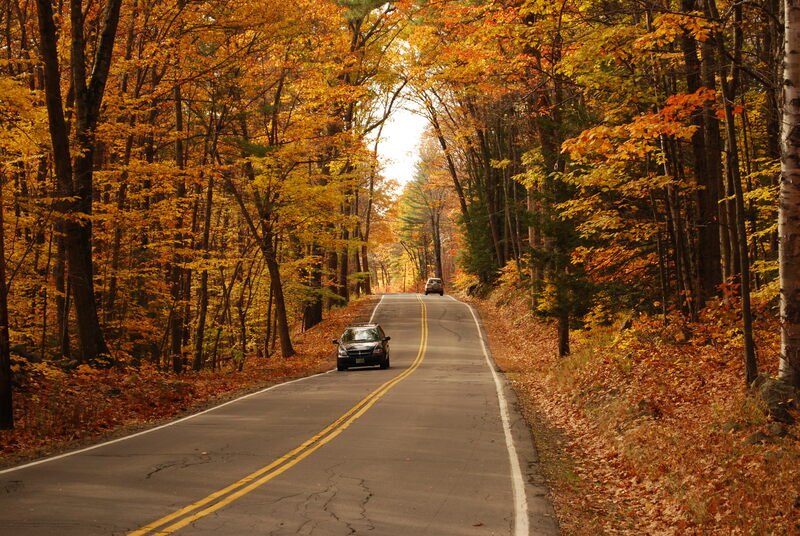 It is the home of New England College, founded in 1946, and of Pat’s Peak Ski Area, opened in 1963. 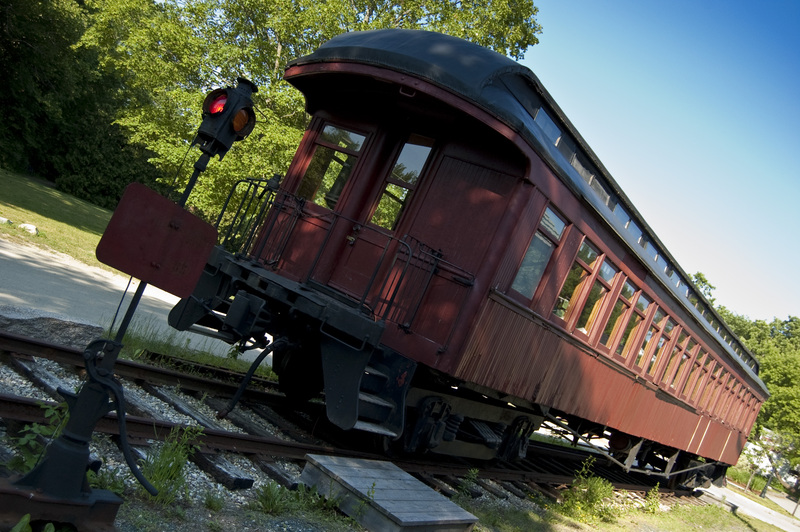 The Henniker Historical Society operates a museum and archive center in the historic Henniker Academy building at 51 Maple Street in downtown Henniker. Genealogical research is conducted from this 1836 school house. 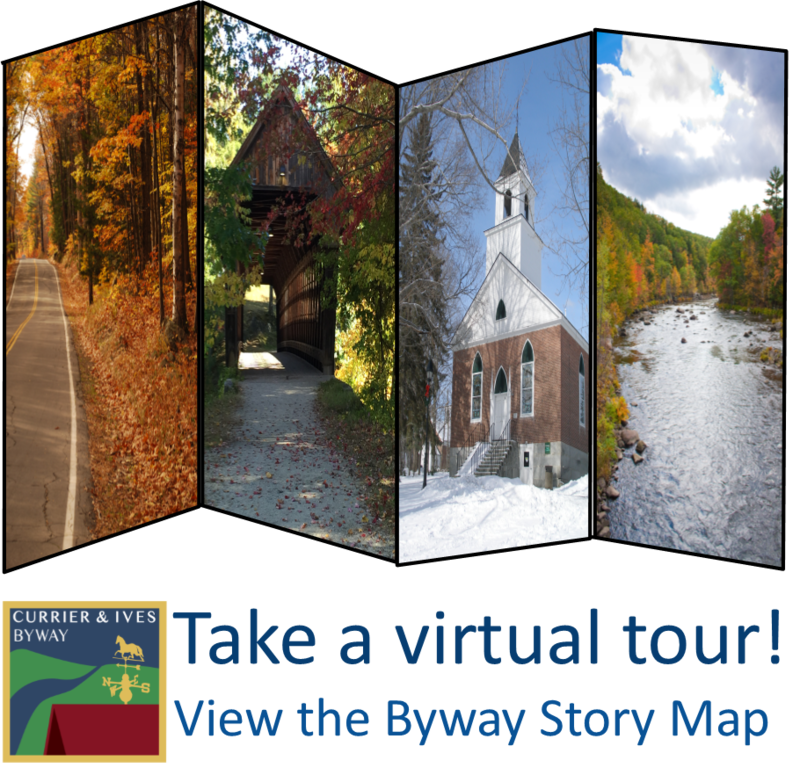 Learn more about Henniker at www.hennikerhistory.org, www.henniker.org and www.hennikerchamber.org.